We helped buy bricks for the New School. Everyone looked smart in their new school uniform. We raised enough money for a Bicycle Ambulance. In Year Two our pupils learn how they can have a positive impact on the lives of other children elsewhere in the world. 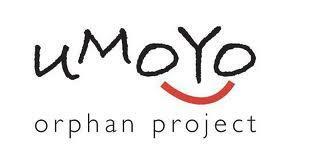 The Umoyo Orphan Project is a UK registered charity which funds specific projects in a dedicated area in Northern Malawi. Their motto is “enabling and empowering independence”, and as a school we have had an association with the charity, through fundraising, since 2010. During our “Friendship Week” in November that year, every child took home a leaflet explaining how we would start raising money to buy bricks to help build a new school for the children. Every £10 raised bought 100 bricks and it was lovely to see the Year Two children organising and running meetings with the School Council to decide how the monies would be raised. We held a talent show and mini fair activity morning and along with collections from our Christmas Productions, in 2011 we raised enough money to provide 6000 bricks to complete the building of the school. The project leaders confirmed that without the children’s efforts it would not have been completed. In 2012 our new Year Two children decided to hold a school quiz, toy sale and fun run to raise money so that all the children at the new school could have a smart school uniform. This also benefitted the wider community as local people were employed to make the uniform. Having achieved this, in 2013 the children raised funds to buy a much needed additional bicycle ambulance by organising a wood crafts and bring and buy toy sale. In 2014 the children embarked on the latest fundraising project to help complete the building of a Health Clinic. The Umoyo Project needs another £2,000 to complete the building of the Clinic. So far we have contributed £425 at Christmas and the children organised a cake sale and nearly new toy and book sale in February which together raised an impressive £524.80, which when exchanged in Malawi Kwacha is worth at least 10 times as much as at home in England!! The children have plans in place for further fundraising activities including a clay modelling day! In 2015 our fundraising events included making creative bookmarks; hosting a film night; a welly walk and teddy bear's picnic. We raised an amazing £750. in total during the school year. The money raised went towards building a new, much needed, well for the villagers. In 2016 the Year Two children organised a day of fidget spinner making, a day of biscuit making and a day of circuit training. These events raised £754. which was used to buy blankets for the healthcare centre. In 2017 the children planned two fundraising events to support the charity. They baked and decorated cookies and organised a fun run. The fun run consisted of running as many half mile laps around the playground as they could in half an hour. For every lap they ran they were given a stamp on a very special map. Both events raised a total of £1,070 which was used for new uniforms and desks. In 2018 the children continued to fundraise for the project by running a mask making workshop. Everyone was invited to design, make and decorate an African animal mask for a donation. The event raised £207 which will help towards refurbishing the school library. For our last fundraising event of the school year, Woodpecker Class decided to organise a “book” sale. Everyone was encouraged to colour-in and decorate a printed book mark to take home or use in school. We also sold “Malawi” hat. The hats are made especially for our children and parents by a tailor in Malawi. Both events raised £145 which brought the total amount raised for the whole school year to an amazing £774. During each of the years we have continued to give large contributions from the donations made by parents and family at our wonderful Nativity plays. Working with the Umoyo Orphan Project is now an integral part of the curriculum. Children learn of their responsibility to others and their capacity to make a difference. Through geography the pupils learn about Malawi, it’s similarities and differences to the U.K., and we are most grateful to Sarah and Chris from the project in maintaining these valuable links with our school. It was Honeybee’s turn to organise the latest Umoyo Fundraising event and they decided to make and decorate pasta bracelets. Everyone really enjoyed taking part in the event and the jewellery looked wonderful. Thank you to everyone who contributed to this worthy cause, we raised nearly £200. It was all about elephants for the first Umoyo fundraising activity. The event was organised by Ladybird Class and the whole school was invited to make an elephant greeting card to take home. This lovely event raised £239, which will go towards buying bricks to build a new library, school uniform and additional bicycle ambulances. Sarah Mtonga from the Malawi Project visited Year Two to talk to them about our links with the Umoyo Orphan Project. This year we will be fundraising for new school uniform for the children. We would like to say a big “thank you” to Joe Carter in Honeybee Class who has already started fundraising for the project by making and selling bookmarks to his family. His enterprise raised £5.80! It was the responsibility of Owl Class to start this year’s Umoyo fundraising events. They decided to hold a book sale to raise money for the project’s new school library. Some of the children visited each class showing them their posters, explaining more about the project and why it is so important to help the community in Malawi. This first activity raised £253 for the charity. Year Two’s school year has begun with the topic “Amazing Africa”. The children have been introduced to this topic by learning about Malawi, with whom we have special links through our support for the Umoyo Orphan Project. Sarah Mtonga and Chris Kitson from the project spoke to them this week, discussing how we can fundraise this year for uniforms and a school library. Some of our Year Two girls decided to organise their own stall at the Summer Fair. They made delicious lemonade and Mrs Browning and Mrs Wolfe also contributed cakes, sweets and bracelets. The stall made an amazing £73.60! The fidget spinning craze hit the school when Horse Chestnut Class showed the rest of us how to make and assemble them for a small donation towards the Umoyo Project! This last fundraising of the school year event raised £214, which brought the total to £754 at the end of year 2016/2017. Well done everyone and thank you for your continued support. During the children's P.E. lessons, pupils raised money by running round a circuit on the school field. The grand total raised for the event is over £241. half term and have seen at first-hand the difference your generosity is making to the children and families in Loundon. Please do have a look at the photos on the web site and thank you for your continued support and donations. Year Two children made 270 biscuits in their D&T lesson, using their maths skills, for our latest fundraising event. The whole school were then invited to decorate a biscuit with icing, chocolate drops and sprinkles. We raised an amazing £205 for the project. Well done to everyone and we hope you enjoyed eating your delicious biscuits! Dragonfly Class lead a fundraising event for the Umoyo Orphan Project in Malawi. The whole school was invited to bring along their favourite teddy bear, took part in popcorn making which they took to the woodland area and listened to a story. Thank you to everyone for their support we raised £230 for this event. Since 2009, Riverhead has been raising money for the Umoyo Orphan Project in Malawi. So far we have raised money to help buy bricks for a new school; tables; chairs and stationary; P.E. kits; school uniform; a toilet Eco Dome and a bicycle ambulance. The children are very proud of the amount of money they have raised and are looking forward to this year’s fundraising event to raise blankets for the Health Centre. The Year 2 children decided to teach the other year groups, how to make a Spinner from paper bottle tops and marbles. The School raised a total of £193.00 on the day. The first fundraising event for 2015/2016 was a Welly Walk which raised over £320. The Children discussed fundraising ideas. This year we are raising money to install solar toilets. Year 2 children planned three fundraising events to install solar toilets for the charity. The first of which was their craft activity where all the children in school were invited to pay a donation to make their own creature bookmark. Well done to Sissy who raised £5.11 for the Umoyo Project by making Loom Band Bracelets and selling them to her family and friends. Everyone enjoyed the clay making fundraising morning and we raised £407 for the Umoyo Project. During our Activity Morning the children enjoyed decorating biscuits and making potions! The Year 2 Children held a Nearly New Toy and Book Sale to raise money to help complete the building of a Health Clinic. In 2013 we held a Wooden Craft Sale. Everyone tried their best in our 2012 Sponsored Meadow Run. The 2011 Umoyo Activity Morning.